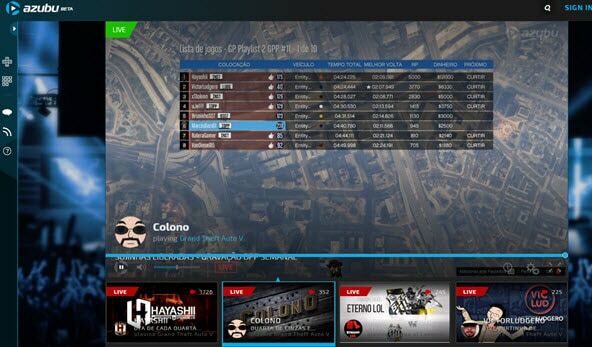 Beam offers interactive live streaming and is considered as a potential alternative to Twitch with its effective user interface. Beam developers know that broadcasters need to make active connections with unlimited viewers on their stream sessions and it is quite difficult to keep them all satisfied at once. Hence they have developed beam with highly useful features so that broadcasters can have easy interactions one to one. The best part to know about Beam is that users can access its application on mobile devices too so that everyone can stay connected without time boundaries or distance issues. You will be glad to know that Beam is one of the fastest live streaming software where you will probably suffer less than one second of delay for sending your content on air. One thing is important to know that Beam is designed totally upon HTML5 platform so you need not to integrate additional heavy plug-ins such as flash etc to this tool. Further the VP8 protocol for encoding assists in better bandwidth management. The well known startup Hitbox.Tv belongs to Hitbox Entertainment GmbH of Vienna. It is commonly used by game lovers as an attractive alternative to Twitch due to its ease of use and interactive environment. If you want to grab more audience at much faster pace then HitBox can assist you better. The hidden secret behind the success story of HitBox actually lies behind its potential website that is developed with effective integration of JavaAcript and HTML5. In simple words, this platform has a single target and that is to improve the streaming experience of gamers. 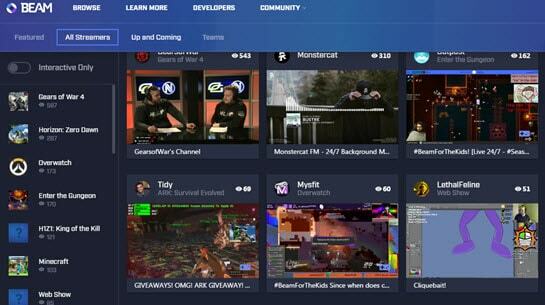 HitBox is currently serving large user base that are viewers, partners, streamers or some tournament organizers. The best part is it offers everything with tailored feature set. This platform provides more opportunities to audience as well as streamers so that they can stay connected. 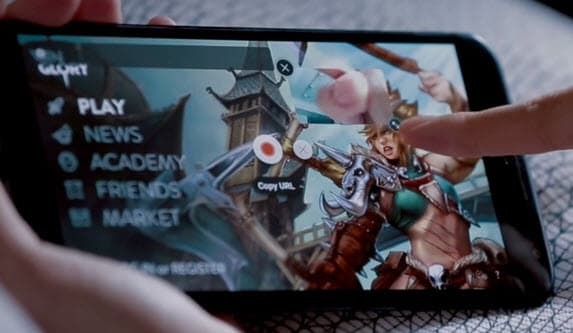 YouTube Gaming is one of the largest and most active gaming communities that connect millions of players, games and cultures together to entertain users. It assists in easy content sharing abilities while supporting the chat feature on live streams so that broadcasters can check activities and interests of viewers by following one to one communications. 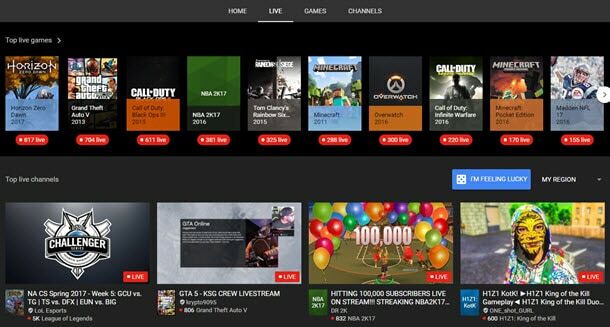 Viewers can easily search for their favorite gaming content whereas broadcasters can attract viewers with their experience. Some of the most commonly uploaded gaming contents are related to Call of Duty, League of Legends, Grand Theft Auto, Minecraft and millions of other interesting games. At this single place, viewers can watch impressive gaming content for more than 25000 games and you can also switch for the notifications to get updates about new games based upon your interest. 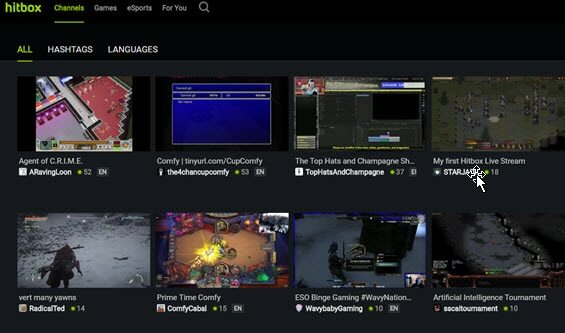 Azubu.tv is highly ranked for classic gaming experience along with its active support to esports events. It use so many advanced tools to allows broadcasters stay connected with community and hence streamers find better opportunities to grow with their live streaming career. On this feature rich platform, users will be able to enjoy lean experience for active interactions with their beloved organizations, players and gamers. At the same time, it helps broadcasters with more powerful chat casting abilities, superior live streaming technology and unique tool set. Azubu is well recognized for its League of Legends live streams but site also allows gamers to work on other popular games like World of Tanks, Battlefield 4 and Starcraft II. With the latest software update, now you can access Azubu on your mobile too with all rich features. This app will assist broadcasters to establish healthy chat connections with their viewers. The best thing to know about azubu app is its ability to support Emoji Tokenization. You will definitely love to explore the real fun with addition of this interesting feature. By following few simple steps, you can achieve amazing streaming experience with Mirrative and the best part is that this application can be directly used on Mobile. You will be glad to know that Mirrativ never asks for additional streaming cost as well as you need not to pay for past streams; everything is available for free. Whenever you find time, you can get connected with large community via your mobile and share content to impress them. It is not just limited to streaming services, one can create vlog, start making friends to improve gaming experience and watch other musical videos. Further it can also be used for development of logos and other interactive designs. This well designed software tool makes streaming task much easier for beginners as well as professionals. Some of the most popular games that are often streamed on this platform are Clash Royale, Game of War, Critical Ops, Color Switch, NBA Live, Draft Kings, CSR Dancing and many more.